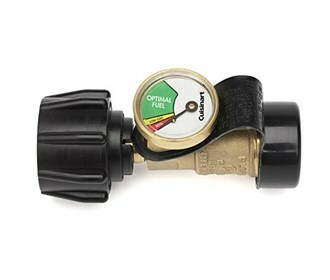 The Cuisinart CTG-200 is a in-line propane tank gauge. Once you attach the Gauge to tank, you won't have to take it off again until it's time to refill the tank. The indicator on the dial of the tank gauge lets you know it's time to refill. 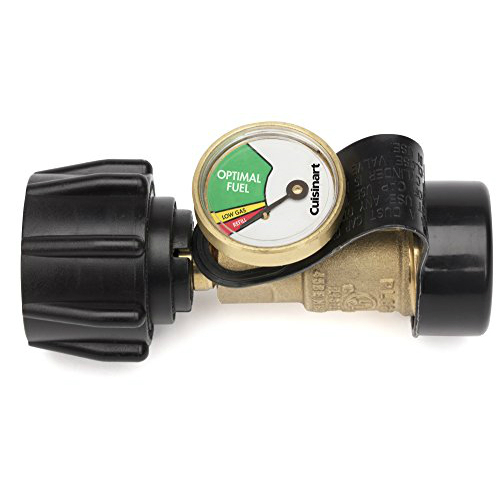 Constantly monitoring the propane level of 20lb propane tank is just possible by attaching the hose to one end of the tank gauge and the gauge is connected to the propane tank on another end. No tools required for this simple assembly and is easy to know the status of the remaining propane.